Hometown/where you live now: Norwalk, Los Angeles Calif.
Best tournament ever won: I have many favorite tournament championships. Defeating David Chapman and Emmett Peixoto in the finals at the USHA Nationals in Minnesota with Sean Lenning was my best win to date. Also, slamming the Collegiate Nationals in 2009 at Minnesota was another important championship for me as not many handballers have accomplished that. What do you do for work: I’m in pipeline construction. 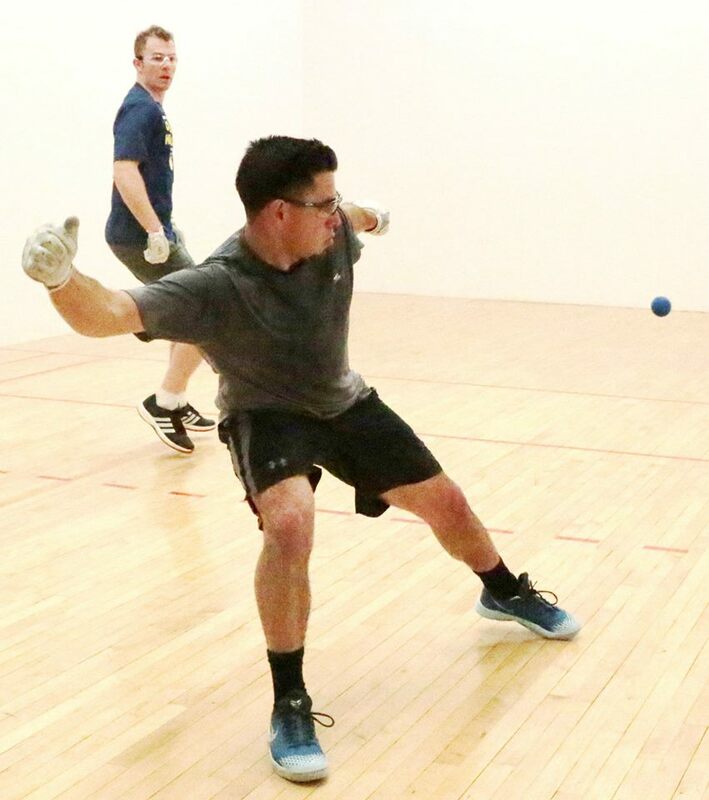 Working in construction has helped my handball game from the inside out. What are your goals for the R48 season: Easy, to be #1 and stay on top as much as possible. Favorite handball tournament: The 3-Wall Southern California handball championship, the Simple Green U.S. Open of Handball and the Jake Plummer Helluva of a Bash tournament. How do you prepare for Race events: To prepare myself, I jog/run everyday of the week at my jobsite before starting hard labor work. After work, I push myself to hit the gym or ride my Fixie Bicycle on the canal, as well as trying to play handball three times out of the week. Who do you think is the best player of all time: 4-wall: statistically, Naty Alvarado Sr and David Chapman, but truly, Paul Brady. Big Ball 3-Wall: Samzon Hernandez. Mando Ortiz is in control of his own destiny. Coming off major open heart surgery in late 2010, Ortiz recovered to thrill audiences all over the country. A big ball 3 wall cross over, Ortiz is a first striking wizard with revolving door perfection and a serve that is easily in the top 5.